Another delegation of specialists from the Russian Federal Service on Customers' Rights Protection and Human Well-Being Surveillance (Rospotrebnadzor) will arrive in Georgia on April 1, Head of the National Wine Agency Levan Davitashvili said at a press conference in Tbilisi on Tuesday. He said a delegation consisting of six, who will inspect about 40 companies producing wine and mineral water, will visit Tbilisi. "This time enterprises located in Western Georgia will be inspected," he said. It should be recalled that the Rospotrebnadzor experts' first visit to Georgia was from Feb. 25 to March 1, resulting in 36 enterprises producing alcohol and four producers of mineral water were able to register their products for sale in Russia. Currently, 59 more Georgian producers submitted applications for the supply of alcoholic beverages to Russia. 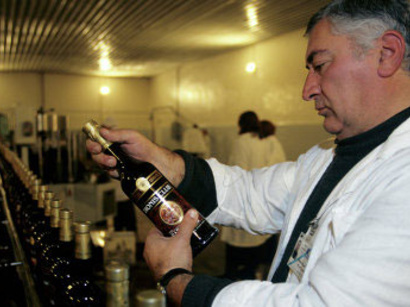 Imports of Georgian wine and mineral water into Russia has been banned since the spring of 2006. The official reason for the ban was said to be the low quality of Georgian products.